File compression software WinRAR core program after you install Windows, but after you install Windows 10 system program changes shape and not commensurate with the design of Windows. Here's the solution: There are several distinctive themes you can use to change the shape of the program to the best shape. 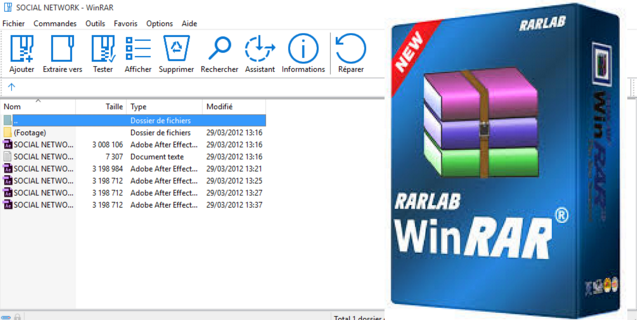 First you download the theme pack for windows 10 program WinRAR from here, and then you open the program on pressing the tab Options from the top and from the drop down menu will press Themes option and choose Organize themes and you will see a pop-up window we press them on the Add button from the right side and then begin to select a file theme package that we have downloaded and then press OK.
Now that we have added a theme we will need to apply to the program until it is changing its shape, and then by clicking on the section Options again and then begin to choose the Windows 10 Blue and instantly you'll find that the entire program has been changing its shape to fit with Windows 10.